WRIW-CD, virtual channel 51 (UHF digital channel 17), is a Class A Telemundo owned-and-operated television station licensed to Providence, Rhode Island, United States. Owned by the NBC Owned Television Stations subsidiary of NBCUniversal (itself a subsidiary of Comcast), the station shares studios with NBC affiliate WJAR (channel 10, owned by the Sinclair Broadcast Group) on Kenney Drive in Cranston, Rhode Island. WRIW's transmitter is located on Champlin Hill in Hopkinton, Rhode Island. At one point, the station broadcast English-language programming, including locally produced programs hosted by former air talent at WHIM. WRIW became a Telemundo affiliate in 2000; ZGS Communications then acquired the station from Viking Broadcasting in 2003. On July 29, 2012, WRIW-CA began broadcasting their signal in digital from the WJAR tower in Rehoboth, Massachusetts, and subsequently changed its call sign to WRIW-CD on January 7, 2013. On December 4, 2017, NBCUniversal's Telemundo Station Group announced its purchase of ZGS' 13 television stations, including WRIW-CD. This made WRIW the second television station in the Providence market to have been an owned-and-operated station under NBC ownership—after WJAR (channel 10, now an NBC affiliate owned by Sinclair Broadcast Group), which was owned by the network from 1996 to 2006. The sale was completed on July 20, 2018. WRIW-CD began simulcasting the newscasts of Boston sister station WNEU on July 20, 2018, immediately following the completion of the sale to NBCUniversal. In the announcement, WNEU president and general manager Mike St. Peter stated his intention to hire a Providence-based reporter for the newscast. ^ "WRIW / WPXQ CSA". Licensing and Management System. Federal Communications Commission. April 3, 2018. Retrieved May 1, 2018. ^ Fybush, Scott (April 23, 1998). "New TV in Maine". North East RadioWatch. Retrieved September 19, 2009. ^ Fybush, Scott (November 6, 2000). "WILD's New Owner, And Some Changes at NERW". North East RadioWatch. Retrieved September 19, 2009. ^ "Application Search Details". CDBS Public Access. Federal Communications Commission. Archived from the original on December 13, 2012. Retrieved September 19, 2009. ^ "Application Search Details". CDBS Public Access. Federal Communications Commission. Retrieved July 30, 2013. ^ "Consummation Notice". CDBS Public Access. Federal Communications Commission. Retrieved July 24, 2018. ^ Digital TV Market Listing for WRIW-CD RabbitEars.Info. Retrieved February 17, 2015. 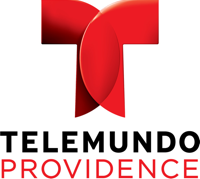 ^ "TELEMUNDO BOSTON'S "NOTICIERO TELEMUNDO NUEVA INGLATERRA" WEEKDAY NEWSCASTS TO AIR IN PROVIDENCE THROUGH TELEMUNDO PROVIDENCE / WRIW" (Press release). Newton, Massachusetts: NBCUniversal. July 20, 2018. Retrieved July 25, 2018.